This T.M. 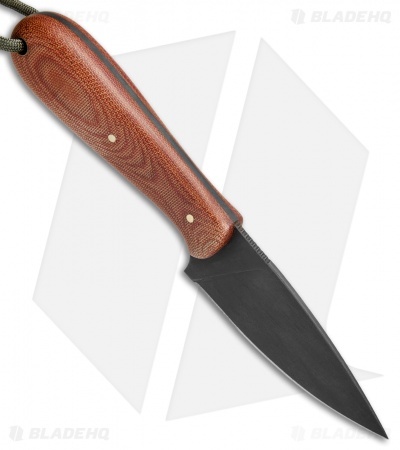 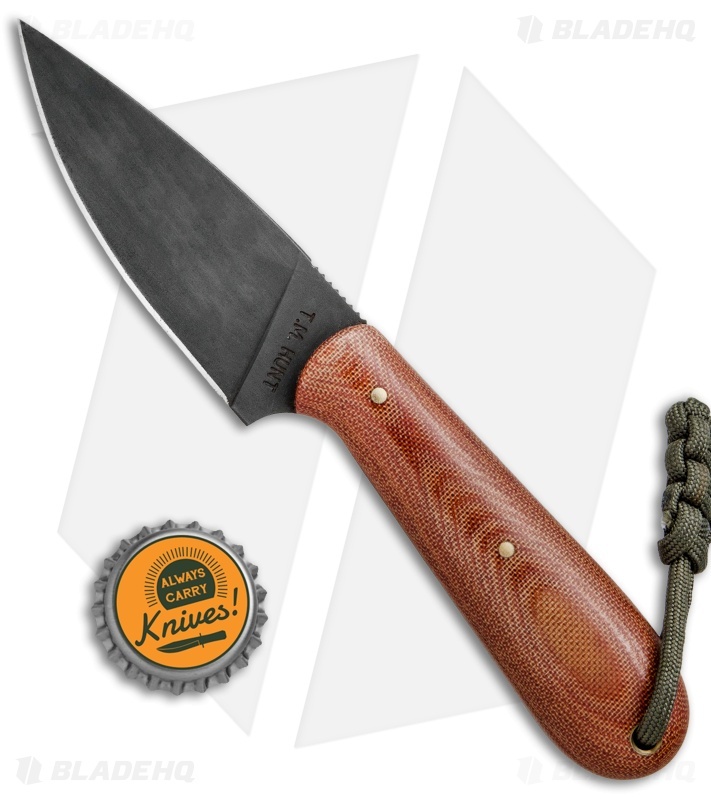 Hunt custom fixed blade is sized perfectly for everyday carry and outdoor excursions alike. Its blade is made from black coated, heavy-duty O1 tool steel with jimping on the spine for added control and grip security. 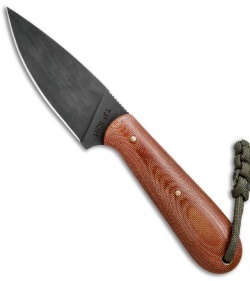 The handle is fashioned with smooth natural Micarta scales shaped for comfortable extended use. 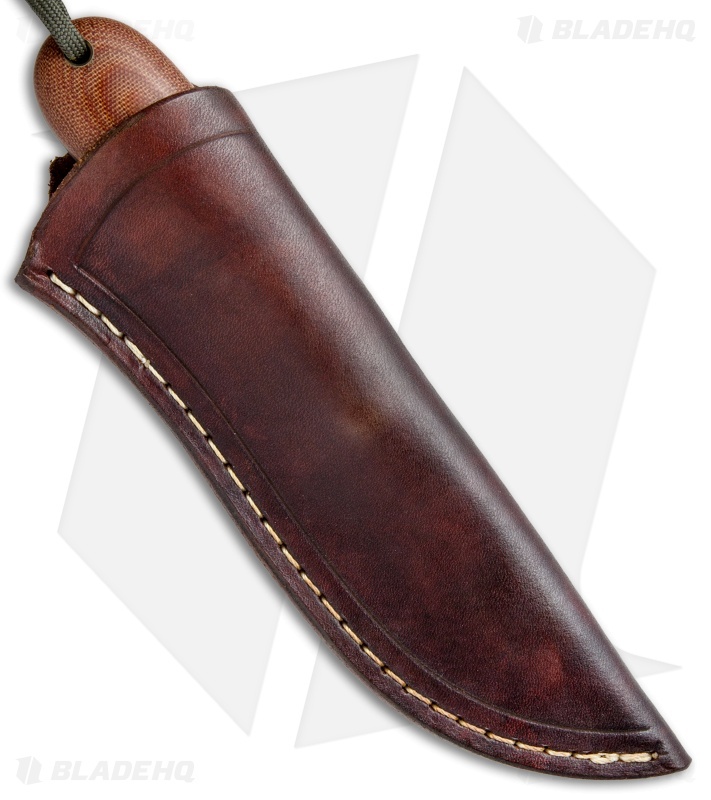 Includes a genuine leather belt sheath.